Street Faith is similar to the term “street smart.” What does faith transpire to when an individual is in the real world? Jesus said, “It’s easier for a camel to enter through the eye of a needle than the rich to enter heaven.” He also said, ”… let your light shine before men, that they may see your good deeds and praise your Father in heaven.” What’s the current perception of Jesus in our culture? How can we love and serve others? In today’s culture, most Christians will say it is better to lead by example. But when you step out of the church, what does that mean exactly? Is anyone even doing that, or are they just saying that? Enoch Magazine uncovers the lifestyles of faith driven individuals, and attempts to “connect the dots” between what is preached in the church and what can be done on the street. We’re basically on a journey to continually discover who God really is. This stemmed from a verse in Proverbs (3: 27-28). It said: “Do not withhold good from those who deserve it, when it is in your power to act. Do not say to your neighbor, ‘Come back later; I’ll give it tomorrow’— when you have it with you.” To us, this verse simply means, If you know God’s real then don’t hide it! Share it. Others ‘deserve’ to know God, and we have the ability to ‘act’ upon that by documenting true Christianity. We believe in the Bible, but some of our closest friends do not. And why should they? Many religious organizations today seem to unknowingly withhold God from those who deserve it. They focus on themselves and ignore the poor and the oppressed. Christ loves the church, but His love is not always displayed by the church. 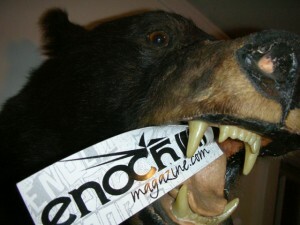 The Bible says “the road to heaven is narrow” and that is why we have created Enoch Magazine. We aim to get out there on a level playing field and film what real Christians are doing. Hopefully, we can provide skeptics and the non-believers another side to Jesus that they did not see back when they went to church or when they felt mistreated by a Christian or religious outfit. 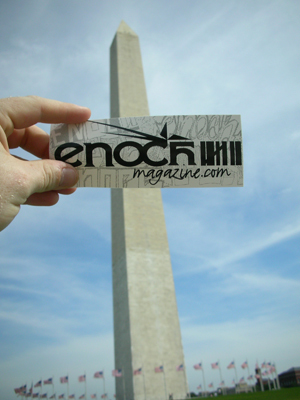 Enoch Magazine is a non-profit media movement, which attempts to document the Glory of God in a variety of people and circumstances. Our members and contributors are located in different cities and countries across the world, who have united their talents in film and journalism to honor God. As we use our talents to learn more about The Divine, we are also learning how to serve and love others. Our hope is that the content of Enoch Magazine would inspire people, (regardless of a religious or non-religious background) through honest reality. We also hope to build relationships and meet people face to face , not just hide behind a website. Our desire to inspire and unite people on the streets in service to God and our fellow man, has caused us to live with the homeless Skid Row in Los Angeles, and the Tenderloin San Francisco.